“Things have come down to the Triarii." This is an old Roman saying, meaning that the situation has come to its bitter end. When the legions were essentially made of conscripted citizens, the Triarii were the oldest and wealthiest soldiers, and in battle they stood behind the lighter and younger Hastati and Principes. Usually, the Hastati were employed first, followed by the older and wealthier Principes, which usually were enough to win the battle. Having to commit the Triarii—the oldest, most influential citizens—into the mêlée meant that the situation was dire, and that victory was to be attained at all costs. The trend of relying on the youngest troops to do the bulk of the fighting has generally dominated warfare since the first states warred, but so has the demographic trend of having a predominantly young population with positive growth rates. The latest demographic projections show a general increase in the median age of populations across the entire world and a decrease in their growth rate. This can be attributed to the increasing longevity and the declining fertility of populations, specifically in developed countries. For the first time in history, barring plagues and other black swan events, total population might even begin to decrease, and over one fifth of the world’s population could be above 65 years old in 2050. Aging is relevant, as it is both a cause and an effect of a great number of changes society is experiencing. For instance, populations with negative growth rates can make traditional welfare systems unsustainable. Or when coupled with other recent trends, such as automation and interconnectedness, even the nature of work could be transformed. We then seem to be living through a paradigm shift, but although we perceive change everywhere, there is also a great deal of continuity. War has been a part of our history since man began to organize in political entities, and while the current global system makes large-scale, interstate wars less likely, other forms of conflict are growing in frequency, fought within states by irregular forces which often serve as proxies for larger entities. As with the other spheres of human activity, warfare is also changing, but war itself remains. But how does aging change warfare? If the growth rates of developing countries start to decrease, the most evident effect will probably be a reduction in the percentage of fighting-age males worldwide. If we analyze the effects of this decrease through a reductionist perspective, we could be led to think that it would cause a general decrease in the level of violence worldwide: wars are mostly fought by fighting-age males. A decrease in growth rate worldwide will eventually lead to a decrease in the percentage of military-age individuals, which could in turn make societies less inclined to employ violence, fearful of losing a significant percentage of their youngest adults. Cynically, one can even risk saying that a human life is worth much more today than ever before, which results in a higher reluctance to deploy “boots on the ground” or any military activity which risks human lives. One can already see such reluctance in the deployments and operations of developed countries, which tend to use standoff solutions such as airpower or local proxies. This almost linear relationship between variables doesn’t consider that aging occurs in a system, an increasingly more interconnected, ever-changing, global system. When we consider other system-wide trends, such as technological evolution, globalization, and the resulting change in patterns of conflict, the linear relationship between aging and war disappears: technological evolution, through increasingly autonomous weapons systems, could cancel out the decrease in violence that we attributed to the aging of populations, or even reverse it. What aging and those systemic trends—technological evolution and the changing patterns of conflict—all point at is the deep change in who will fight the coming wars. Conflicts will require the regular use of professional, specialized troops like the Triarii, and militaries or other armed entities will have to adapt to a world where Hastati are no longer the less valuable and more abundant troops. Militaries based on conscription could well become a thing of the past, and for some countries there may not be enough individuals to satisfy the manpower requirements. Furthermore, in an increasingly interconnected world, alliance defense becomes more important than solely national defense; this also favors investing in the Triarii. Thus, when coupled with the systemic trends mentioned above, aging could provide the perfect opportunity for a paradigm shift in military organization and culture. We should strive to build leaner and shallower organizations which completely leverage the capabilities of every available soldier instead of relying on the bottom ranks for cannon fodder (i.e., to create the critical mass of manpower required to fight a peer adversary in an interstate war). Since the required mass will tend to be increasingly provided by autonomous systems, this frees up available personnel to the positions requiring human ingenuity, intuition, and creativity. These less abundant—but also increasingly educated, specialized, and empowered by technology—soldiers blur the line between officer and enlisted, requiring change in the personnel systems and deeply affecting the organizational culture of military forces. A possible end state could be a force closer to a modern gendarmerie than to a nineteenth-century army, in the sense that each police officer has a much greater degree of independence than an equivalently ranked enlisted soldier in a traditional army. Such forces are usually organized in small, lean, regionally-oriented, highly autonomous, and decentralized modules ideal for dispersed operations amongst the populations, requiring little guidance besides overarching guidelines like “maintain the peace, enforce the law.” They are also complemented by specialized modules for niche tasks that can be added to each unit as required. Organizing future military forces along these lines will only be truly possible once the mass required for the increasingly small likelihood of interstate warfare between peer adversaries is outsourced to autonomous weapons systems, which would allow a higher level of exploitation of the decrease due to aging amount of human potential. Deep changes to the structure of military forces are not in and of themselves a bad thing: some aspects of the current paradigm in military organization and culture can be traced back to the French Revolution or even earlier, and are now increasingly distant from the contemporary world. As societies change—their demography, their technology and their conflicts—so must their armed forces. We should then embrace this change, and use the aging of the population as a catalyst in the transformation of those who defend it. This is the final part of a three-part examination of the failure to recognize genocide in Rwanda. The first part is available here, and the second here. Since the end of the Cold War the United States had repeatedly demonstrated that it could move the UN to take rapid action, yet in the case of the Rwandan genocide this did not occur. At the height of its unipolar moment, Rwanda demonstrates not that the United States did not know about the genocide, but that a conscious choice was made whereby the prevention of 800,000 deaths in Africa was simply not in its national interest. If something happens in Rwanda… we don’t care. Take it off the list. U.S. national interest is not involved and we can’t put all these silly humanitarian issues on lists…just make it go away. After the genocide began in April 1994, U.S. diplomats focused most of their efforts on re-establishing the Arusha Accords ceasefire in the mistaken belief that the extant civil war and the emergent genocide were synonymous. A Defense memorandum from 11 April posed the question, "Is the USG willing to get involved?" with the answer: "...not inside Rwanda…until peace is restored." However, this same document explicitly recognised that unless the belligerents could be convinced to return to the peace process "a massive (hundreds of thousands of deaths) bloodbath will ensue." Intelligence estimates circulated daily with updated casualty figures, and the embassy in Kigali passed on their concerns about the existence of killing lists. Clearly, evidence of genocide was starting to permeate government reporting, yet no amount of evidence, no matter how powerful, could change the view that preventing mass killings in central Africa—even if they did amount to genocide—was simply not in the U.S. national interest. U.S. policy during the Rwandan genocide reveals that it was not an important concern of the Clinton Administration, which treated it not as a human rights disaster requiring urgent response, but as a peacekeeping headache to be avoided. This attitude drove the administration’s dealings with the UN. More might have been expected of Clinton’s Presidency. As a presidential candidate in 1992, Clinton attacked the Bush Administration for its passive Bosnia policy, declaring: "If the horror of the Holocaust taught us anything, it is the high cost of remaining silent and paralyzed in the face of genocide." Yet he quickly abandoned this bold anti-genocide rhetoric to fears that a foreign policy misadventure would weaken him politically, jeopardizing his domestic agenda. General Dallaire cites a phone call he received from a U.S. staffer who queried how many people had perished, how many were refugees and how many were internally displaced. The staffer indicated "it would take the deaths of 85,000 Rwandans to justify the risking of one American soldier." The shadow of Somalia hung ominously over Rwanda throughout, causing Clinton to disassociate himself from any image of a more muscular UN. Indeed, it was U.S. influence that forced the UN to screen potential missions so as to pick winners and avoid losers. The US even pushed the UN to withdraw UNAMIR in the middle of the genocide because they did not believe the mission was viable. This game of denial played by the Clinton Administration towards Rwanda was largely due to the normative and policy implications inherent in the UN Genocide Convention. The Convention affirmed that recognising genocide required action to prevent it—a commitment post-Somalia that President Clinton was unwilling to make. POWER ARGUES THAT THE UNITED STATES IS FUNDAMENTALLY SLOW TO MUSTER THE IMAGINATION NEEDED TO RECKON WITH EVIL, INSTEAD ASSUMING THAT RATIONAL ACTORS ARE INCAPABLE OF GRATUITOUS VIOLENCE. The trajectory of this Presidential Decision Directive, which had been drafted for months, suddenly intersected directly with the cataclysm in Rwanda, and result[ed] in a bureaucratic clampdown on any prospect of US support for that region. Ultimately, President Clinton’s claim that he was unaware of the genocide seems doubtful given the proliferation of information in the administration’s own documentation. Arguably, the only reason the President was unaware of events in Rwanda was his deliberate desire to remain in the dark, so as to maintain plausible deniability. However, by May 1994 any pretense of plausibility was gone. The fact that the U.S. was fundamentally uninterested in recognizing genocide meant that it was the last power-broker to do so, in public at least. The first mention of genocide in available U.S. documentation is in the Secretary’s Morning Summary of 26 April titled "Rwanda: Genocide and Partition." This previously Top Secret document notes that "at least 100,000 Rwandans have been killed since April 6," and notes "ICRC personnel in country think the toll could be 500,000." Furthermore, it explicitly refers to extremist claims of a "'final solution' to eliminate all Tutsis." This reinforces the view that by late April the U.S. knew exactly what was occurring in Rwanda, but chose to pursue a campaign of deliberate ignorance. Also at this time, senior State Department personnel were being directed to inform the genocidal regime that the U.S. knew about the military and government’s complicity in the massacres and that these constituted "criminal acts of the most heinous nature." Yet despite this backroom maneuvering, there was still no public recognition that genocide was actually occurring. THE ADMINISTRATION KNEW WHAT WAS OCCURRING IN RWANDA BUT POLITICAL CONSIDERATIONS TOOK PRECEDENCE OVER THE PRACTICAL DIFFICULTIES OF INTERVENING IN AN AREA WHERE U.S. NATIONAL INTERESTS WERE NOT AT STAKE. By early May 1994, official documents show signs of support for the UN’s desire to convene genocide investigations, yet the recommendations sum up American desire to act: "Be careful. Legal at State was worried about this yesterday—genocide finding could commit USG to actually ‘do something.’” John Shattuck admits he only realized genocide was occurring after he flew over the Kagera River in early May and saw bodies floating like logs. After this experience, he was the first official from any department to describe Rwanda as genocide publicly.Despite this, it took him weeks to convince the Administration to authorize the use of genocide. It was not until mid-May that those in the highest levels were prepared to use the correct terminology, because by then genocide was too self-evident to ignore, and "it was both intellectually and morally dishonest at that stage not to have [done so]." This demonstrates the more general trend that genocide is fundamentally difficult to comprehend until seen through one’s own eyes. Therefore, it can be difficult for detached bureaucrats to determine that genocide is occurring based only on reporting, especially when they already possess an overriding desire not to acknowledge it. [W]e should send a clear signal that the United States believes that acts of genocide have occurred in Rwanda. If we do not seize the opportunity…our credibility will be undermined [and many] may question how much evidence we can legitimately require before coming to a policy conclusion. Warren Christopher finally agreed to let his department use genocide on 24 May. However, the ambiguity persisted until 10 June when, under severe internal and external pressure, he finally conceded that what had occurred in Rwanda was genocide: "If there is any particular magic in calling it genocide[emphasis mine], I have no hesitancy in saying that." This as Michael Barnett has noted, ensured the "United States looked like the dullest and most callous kid in the class." WHY DID THE US FAIL TO RECOGNIZE GENOCIDE IN RWANDA? The U.S. was inhibited by a self-imposed lack of imagination. A 1995 Human Rights Watch report argues that from an early stage America concentrated solely on the resumption of the civil war without considering the parallel effort of genocide. The U.S. Ambassador to Rwanda, David Rawson, goes as far as to say the U.S. were "naïve policy optimists…looking for the hopeful signs, not the dark signs. In fact, we were looking away from the dark signs." Power argues that the United States is fundamentally slow to muster the imagination needed to reckon with evil, instead assuming that rational actors are incapable of gratuitous violence. However, this supposed lack of psychological preparedness is not an acceptable excuse from mid-April, when the signs of the slaughter became irrefutable. At this point the U.S. progressed from fundamental misunderstanding to deliberate ignorance. Bob Dole summed up America’s attitude when he stated, "I don’t think we have any national interest there…The Americans are out, and as far as I’m concerned that ought to be the end of it." Effectively this was the end of any debate about U.S. involvement. The administration knew what was occurring in Rwanda but political considerations took precedence over the practical difficulties of intervening in an area where US national interests were not at stake. MEMBERS OF THE U.S. POLICYMAKING COMMUNITY LIKE JOHN SHATTUCK BELIEVE THE SHADOW OF SOMALIA WAS THE MOST IMPORTANT INITIAL FACTOR IN THE NON-RECOGNITION OF GENOCIDE. The U.S. spent two months playing diplomatic escape and evasion. Analysts had a reasonable idea that genocide was taking place, even though they probably underestimated the extent of the slaughter. Senior leadership however, whether it was the State Department, the Pentagon or the White House, were totally unwilling to face, let alone deal with the genocide. James Woods was Deputy Assistant Secretary for African Affairs at the Pentagon and is perhaps the most honest voice in the debate about the U.S. role in Rwanda. Woods states clearly that the U.S. maintained a blinkered approach because they wanted to, not because they did not know. Most importantly, he makes the key point that "it’s possible to know without officially knowing." Members of the U.S. policy-making community like John Shattuck believe the Shadow of Somalia was the most important initial factor in the non-recognition of genocide. He argues that America fundamentally misunderstood Somalia in the first place, but despite this its implications were projected into many other contexts—of which Rwanda was the first and most devastating example. Furthermore, there were concerns about the effect involvement in Rwanda would have on the Democratic vote in upcoming elections if there were U.S. casualties. This situation ensured there was no champion for the Rwandan cause; indeed, it was quite clear that nobody in the administration wanted to understand the situation because it might compel the U.S. to become involved. GENOCIDE CANNOT BE TREATED AS A RUN OF THE MILL DIPLOMATIC MATTER THAT CAN BE SOLVED BY COMMISSIONS AND REPORTS. America’s role in the Rwandan genocide was one of willful omission. While the key arms of government were provided with the information necessary to distinguish genocide, the stated policy was that Rwanda did not affect vital national interests before or even during the genocide, thus it was ignored. American denial and unwillingness to take action had the chilling effect of blocking or denying any action that could arrest the genocide. Indeed, reports from the UN, the African Union, Human Rights Watch, and the French and Belgian legislatures are scathing in their criticism of the obstinate U.S. refusal to recognize the genocide. By marginalizing the massacres in Rwanda and ignoring all the warnings that were presented, America was able to avoid having to call what was occurring by its rightful name—genocide. Therefore, America’s overwhelming influence ensured that any debate on the Rwandan issue was stifled and any enthusiasm to recognize the genocide by the UN was rejected. I hope this three-part examination of the Rwandan genocide has exposed the principal constraints on the recognition and prevention of genocide. Initially all involved in Rwanda were slow to muster the necessary imagination to reckon with the evil being perpetrated. Those closest to the massacres were the first to identify that genocide was occurring, while external stakeholders were able to maintain their ignorance because of the lack of graphic imagery. The first people to recognize genocide were those closest to it: NGOs, the UN Assistance Mission for Rwanda and, eventually, the media. As such, if recognition is best addressed from the ground level it is critical the information be understood by key decision-makers swiftly and without censure by intermediaries (bureaucracies). Genocide cannot be treated as a run of the mill diplomatic matter that can be solved by commissions and reports. If any reason exists to suspect that genocide is occurring it must be addressed at the highest levels immediately, because early recognition is the only mechanism to enable potential intervention. Samantha Power has described the resistance to acknowledging the genocide as "the twilight between knowing and not knowing." The genocide was easily discernible from mid-April 1994, yet genocide was not used by those on the ground, at the UN or in the White House until late April. Because recognition and action are inextricably intertwined, it was in the interest of some stakeholders to ignore the genocide by denying its occurrence and disregarding reports from those who were forced to witness it daily. Furthermore, the atrocities being perpetrated remained abstract and remote to most policymakers due to an innate inability to grasp the genocidal intent. Indeed, it was not until May that the international community officially recognized the genocide. A failure of imagination at all levels ensured that reports from survivors and witnesses were unable to make the unbelievable believable, the unimaginable imaginable. But observers must take responsibility for their own incredulity. Just because the stories that emerged from Rwanda were difficult to believe did not mean that they should not have been investigated. The Holocaust should have taught us this lesson. Yet the half-hearted search for certainty led to postponement and paralysis, with those who professed to ‘not knowing’ choosing to do so despite full situational awareness. INTERNATIONAL INACTION RAISED QUESTIONS AS TO WHETHER THE WORLD IS SINGULARLY UNPREPARED TO STOP THE SLAUGHTER OF OUR FELLOW MAN IF THERE ARE NO VITAL NATIONAL INTERESTS AT STAKE. The international community, of which the UN is just a symbol, failed to move beyond self-interest for the sake of Rwanda. While most nations agreed that something needed to be done, they all provided excuses why they should not be the ones to do it. One of the inescapable conclusions of this study is that the efforts of those on the ground to provide information to the international community were largely annulled by their inability to force the international community to actually acknowledge what was occurring. The tragic reality was that the Western world had become inured to large numbers of deaths in Africa and the international community’s bias towards categorizing Rwanda as nothing more than a civil war was simply recognition that they had no desire to understand or deal with Rwanda’s complex political and social problems. This failure of the international community to recognise the slaughter of 800,000 people for what it was—genocide—and the failure of the great powers to meet their responsibilities under the UN Charter directly challenged the enlargement of the promised post-Cold War stable global order. International inaction raised questions as to whether the world is singularly unprepared to stop the slaughter of our fellow man if there are no vital national interests at stake. The genocide itself raised disquieting questions about the prevailing norms and rules by which a decentralized international system of nation-states and an emerging international civil society of diverse and disparate groups would be governed in the new millennium—questions that remain unanswered today. Historians, novelists, journalists, and filmmakers continue to examine the legacy of the Holocaust to draw lessons for the present generation. In the same way, it is important that we continue to examine the implications of the 1994 Rwandan genocide in order to draw out its lessons for the international system going forward. Let us hope that David Kilgour (ex-Secretary of State for Africa) is wrong when he states, "What we seem to have learned about Rwanda is that we have learned nothing about Rwanda." If we imagine Russia-West relations of the past few decades in the form of a frontier as a flexible and wide border line, we will see that this frontier has moved away from the Russian border in the past decade. The acute stages of the crises in the Caucasus (2008) and Ukraine (2014-2015) have shown that security issues in the post-Soviet space cannot be settled without Russia’s involvement and its final say. The Syrian operation of Russia’s Aerospace Forces has shifted the Russia-West dispute over Russia’s international status to the Middle East. The Russia-West frontier at the opposite end of the Eurasian continent is uncertain: the nascent Russia-China rapprochement and the recent ties between Russia and Japan have shown that Moscow will play a new role in the balance of forces in Asia Pacific. Andrey Sushentsov, Ph.D. in Political Science, Programme Director of the Valdai Discussion Club Foundation, Director of the Foreign Policy Analysis Group, Associate Professor at Department of Applied International Analysis of the Moscow State Institute of International Relations (University) of the Ministry of Foreign Affairs of the Russian Federation. It will take years for Russia to increase trade with China. To do so, Russia will need to strengthen its institutions, overcome non-tariff barriers to the Chinese market, and enhance its reputation among Chinese investors. On May 14–15, 28 heads of state, including Vladimir Putin, attended the Belt and Road Forum for International Cooperation in Beijing, an event that was supposed to showcase the success of Chinese leader Xi Jinping’s Silk Road revival. The joint declaration issued at the conclusion of the forum is rife with platitudes about supporting the common good and opposing evil that were included to assuage fears that China is using the initiative to drag other countries into its sphere of influence. Instead, Beijing came off as disingenuous. Perhaps most importantly, the Belt and Road Initiative suffers from a lack of performance criteria. Although Xi Jinping did announce five broadly defined areas of cooperation in 2013, Beijing never set any concrete goals. Chinese planners simply shrug off questions about key performance indicators, saying that the Silk Road incorporates too many countries and involves too many variables over which Beijing has no control. While China’s partners think this uncertainty is problematic, it’s seen as a good thing inside China, including by Xi Jinping himself. After all, the lack of performance criteria allows the government to declare anything a success. Beijing isn’t doing anything new with the Belt and Road Initiative. Long before plans to revive the Silk Road were made public, Chinese companies built infrastructure in other countries, ran pipelines and fiber-optic networks across Eurasia, and handed out loans, while Beijing invested billions in enhancing its soft power. It’s not surprising, then, that many of China’s old projects, like the construction of Gwadar Port in Pakistan, which began in 2002, are touted as the Belt and Road’s flagship achievements. Developing transcontinental routes between Europe and China is in fact the only new and large-scale vector of the Silk Road initiative that Xi Jinping has discussed. Beijing has numerous reasons for devoting resources to this effort, one of which is geopolitical: Chinese military officials want to create land routes for cargo shipments (primarily oil) to bypass the Strait of Malacca in light of the current tensions over the South China Sea. Other factors are purely economic: EU-China trade volumes are incredibly high, totaling 1.5 billion euros per day. Labor costs are increasing in coastal provinces but still low inland, making it an attractive place for investment. China has been constructing infrastructure in these areas since 2000 as part of the government’s program to develop the country’s western regions. What’s more, land shipments save time: they take twelve to sixteen days, as opposed to thirty days or more by sea. If China concentrated on working out its land routes to Europe, it would hardly find a faster route than through the Eurasian Customs Union (Russia, Kazakhstan, and Belarus). Still, actual trade numbers have thus far failed to live up to expectations. For now, overland and maritime transit costs are about equal, but sea transit is expected to again be at least 1.5 times cheaper than land in the future. And at the end of the day, delivery time, which Chinese officials love to talk about when they advertise the Silk Road, is not as important to businesses as the cost of shipping. In the past three years, projects facilitating transportation links between China and Europe have received much less Chinese investment than many analysts, including this one, expected. This is particularly true in the post-Soviet states. Beijing has thus far failed to act on the list of 40 potential transportation projects prepared by the Russian government and the Eurasian Economic Commission. The Chinese have also slowed down the construction of a high-speed railroad between Moscow and Kazan, insisting that the project be commercially viable, which is rather unlikely. What changed? Why is China, which once generously invested heavily in dubious construction projects all over the world, calculating its risks more carefully now? This change has to do with Beijing’s reassessment of bad debt levels in China’s financial system, which began to rise two years ago. The Chinese stock market crashed in the summer of 2015, reducing market capitalization by $4.5 trillion. China managed to avoid a serious financial crisis, but the authorities did launch a comprehensive audit of the country’s entire financial sector, including state banks and leading development institutions like the China Development Bank and the Export-Import Bank, which had been seen as important sources of financing for the Silk Road initiative. At the same time, Beijing started cleaning up debt pyramids accumulated by local governments, which had reached almost $4 trillion by the end of 2014. Money was borrowed through nontransparent mechanisms used to finance money-losing and superfluous infrastructure projects, which created economic growth, jobs, upward mobility for government officials, and, of course, opportunities for graft. By the end of 2015, it had become clear to Chinese authorities that it would be extremely dangerous to continue down a similar path internationally. The work of the Silk Road Fund (SRF), with its $40 billion in capital, clearly illustrates this policy change. Created in 2014, the fund was slated to become the main driver of investment in the Silk Road project, but has closed only six deals in the past three years. Instead, Beijing now uses the SRF as a political purse: it is not linked to the global financial system and can therefore finance politically controversial projects. In fact, the Chinese used the SRF to invest in Yamal SPG and Sibur, which are co-owned by the head of the Russia-China Business Council, Gennady Timchenko, a close friend of Putin’s who is on Western sanctions lists. These two politically motivated investments are arguably the only tangible results of Russia’s participation in the Belt and Road Initiative. This doesn’t mean that Russia should shy away from attracting Chinese investment and increasing trade with China. In 2016, Chinese companies invested over $225 billion overseas, twice as much as in 2014. Just as before, most of this investment went to European, American, and Australian markets, while Russia received only 2 percent of the money. To compete for Chinese money and increase trade with China, Russia will need to improve its investment climate. It will be particularly difficult to do so now, as Moscow picked all the low-hanging fruit following the annexation of Crimea in 2014. Russia now needs to strengthen its institutions and overcome non-tariff barriers on China’s market (and be ready for stiff competition once it gets there). Russia also needs to enhance its reputation among Chinese investors. It will take years of persistent work to accomplish this—work that is unlikely to bring swift victories or praise for government officials and businessmen. Still, it is the only realistic way forward. The New Silk Road has led nowhere so far. The idea of a Great Eurasian Partnership (a union of the SCO, EAEU, ASEAN, and even the EU), which Vladimir Putin spoke about in Beijing, is no less futile. It would be a mistake to spend the government’s limited human resources on this pipe dream instead of directing them to specific small-scale projects for Russian and Chinese businesses. 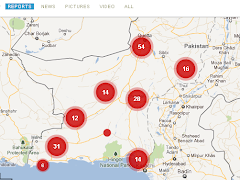 The deaths of at least 1,000 people since March 2008 in the ongoing nationalist insurgency in the volatile Pakistani province of Balochistan have often been overshadowed by the country's other troubles. Yet as the BBC's Syed Shoaib Hasan discovered, the suffering there is every bit as acute. Getting to the vast Baloch tribal settlement of New Kahan is not easy. It is tightly guarded by a ring of checkpoints. We slip quietly past through a gravel path with help from a local guide. New Kahan is home to thousands of tribal Baloch people. The Baloch rebel anthem plays as children gather for assembly. 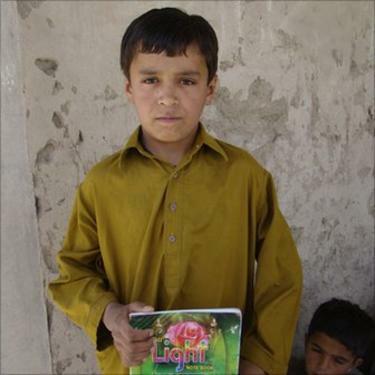 Habibullah, an 11-year-old recites passionate and tragic lyrics: "We are the sons of the Baloch... we are the sons of lions... we are the protectors of the orphans and the destitute… our blood is our nation's salvation." The children are eager to learn but provisions here are poor. Habibullah and his friends take their classes sitting on the floor. Most of the parents are labourers and the school building is a two-room structure of baked clay. There is desperate poverty here. Locals blame the government for the lack of facilities. It is a situation reflected across Balochistan. Nationalists say that despite the province's vast mineral wealth, it remains the most under-developed area of the country. The government has responded to the insurgency by suppressing all dissent - and locking up any young men suspected of harbouring nationalist sentiments. They have become part of the missing - people who have been arrested without charge by the state. Gul Baloch is an angry young woman who has experienced the consequences of this policy and her tone is edged with bitterness. Her brother Iqbal, along with his friends, was taken away by security forces two years ago. The friends were released after a year - Gul says they were tortured during this time. Ms Baloch says she knows that even if her brother comes back, he will never be the same again. When her friends were taken away, they were blindfolded. When they came back, they could not stand sunlight for two to four months. "There are marks on their bodies," Ms Baloch says. "If one of them sits down and tries to get back up, it's difficult and very painful. "That's how it is with them…. and when they are asleep, they wake up in panic, as they feel the torture is happening again - sometimes they even start screaming. " Such treatment has left Balochistan's young men with few choices. Maqbool is one of them - a fiery young Baloch nationalist. He spoke to me in New Kahan about how they view the Pakistani state, and especially its dominant Punjab province. "The Baloch youth... know quite well that, for the last 63 years, the Pakistani state has been deceiving and inciting them using various methods," he said. 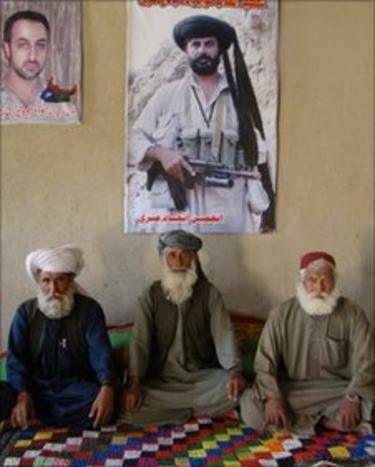 "But now the Baloch youth have become enlightened. "They know this very well - that the Punjabi army, the Punjabi judiciary, the Punjabi parliament as well as the Punjabi media - they are all our enemies." People here are frustrated that Balochistan is so poor, even though it has vast reserves of oil, gas and gold which remain largely untapped. But the province is also this crisis-ridden nation's biggest human rights disaster. The anthem reverberating around New Kahan evokes the strong sense of injustice felt here. But Akram Hussain Durrani - Balochistan's home secretary and top civilian security official - denies allegations that the security forces have been involved in extra-judicial killings. "This type of allegation... is baseless and unfounded," he said. "Most of these people are killed in their own tribal feuds and their families later put the blame on the federal government." As far as eyewitness accounts of security forces being involved in kidnappings are concerned, he says there is a set procedure under the criminal code to register such cases. "But the families don't co-operate in the collection of evidence and therefore we can't get to the bottom of the killings." 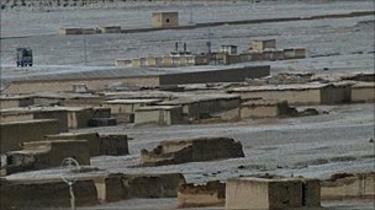 The protestations of the provincial government do not cut much ice among the Baloch, however. Maqbool says the resistance is no longer about a few unruly tribes and not confined to just one place. "If today someone is killed in one region of Balochistan, you can see political protests across [the rest of] Balochistan… you see the response of the resistance everywhere," he says. The Baloch say they are being treated like slaves, rather than citizens. Many feel it is time to break away and win outright independence. Meanwhile, Gul is still waiting for her brother to return. But there will be no homecoming for the hundreds who are found in shallow graves across Balochistan every week. Their mounting numbers have swelled support for the insurgents and prompted the judiciary to order an investigation into abuses committed during the country's longest-running insurgency. 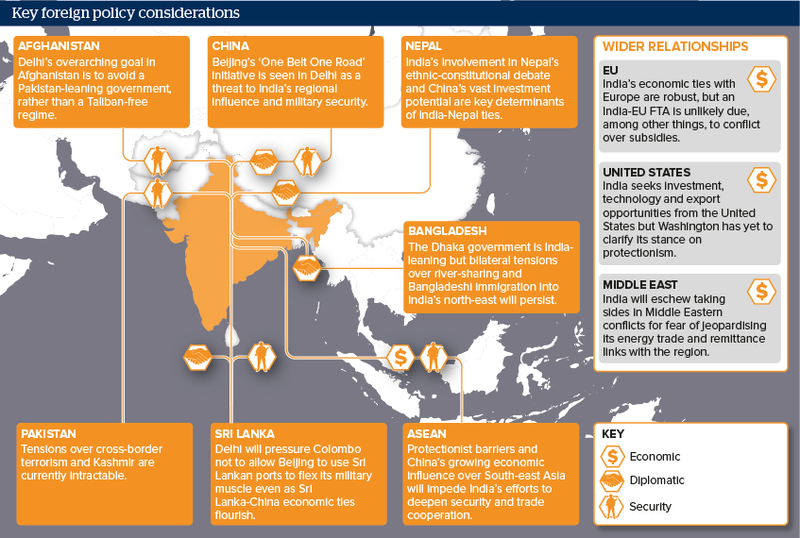 Despite the initial rhetoric of Prime Minister Narendra Modi’s government promising an overhaul of India’s international standing, Delhi’s foreign policy is characterised largely by continuity rather than change. This trend is unlikely to alter during the rest of Modi’s five-year term to mid-2019. Delhi will be politically interventionist and assertive in its immediate neighbourhood, successfully leveraging its long-standing links with Nepal, Bangladesh and Sri Lanka to contain China’s influence in South Asia. Ties with Pakistan, already hostage to historical differences, could fray further as the China-Pakistan Economic Corridor draws India’s two arch-rivals closer. Outreach beyond South Asia will be transactional and politically neutral as India prioritises economic cooperation with South-east Asia, the Middle East, Europe and the United States. India’s footprint on global security will be limited absent a permanent UN Security Council seat, which Delhi wants but will not soon achieve. China’s glowing global interests expose it to new risks and potential for confrontation when its interests conflict with those of established powers. 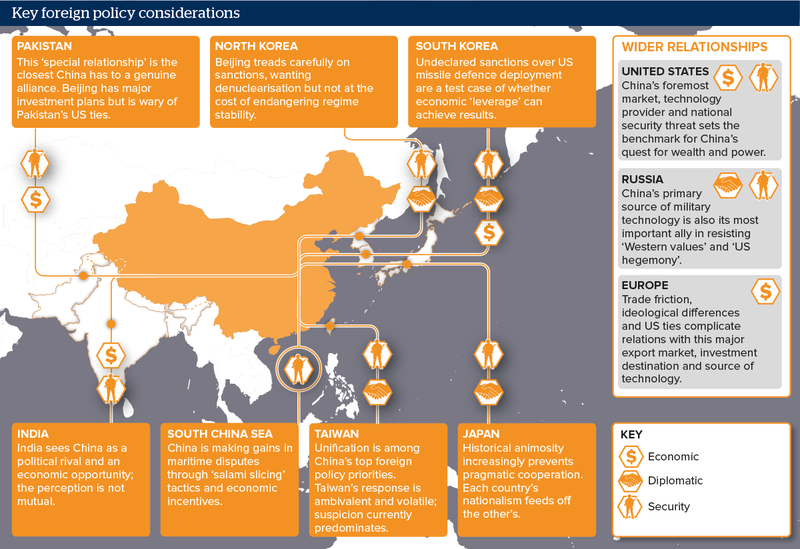 However, domestic concerns dominate Beijing’s policy agenda and China’s foreign policy is extremely risk-averse, shunning military involvement overseas. A stable international environment conducive to economic development is a priority of Chinese foreign policy -- however, this comes second to regime security and territorial ‘core interests’. China’s policymakers and public see the world through the lens of the country’s experiences as a victim of imperialism, predisposing them to uncharitable interpretations of foreign behaviour and extreme sensitivity to perceived slights. So, what has been the strategic impact of the 2015 nuclear deal between Iran and the P5+1 nations, otherwise known as the Joint Comprehensive Plan of Action (JCPOA)? More than a year after its implementation, Ilan Berman thinks the effects of the agreement have been profoundly negative for the stability of the Middle East. Here’s why. This article is a transcript of a statement given before the Subcommittee on Terrorism, Nonproliferation, and Trade, US House of Representatives, on 24 May 2017. It is a privilege to appear before you today to discuss the strategic effects of the 2015 nuclear deal between Iran and the P5+1 powers, formally known as the Joint Comprehensive Plan of Action (JCPOA). More than a year after its implementation, the effects of that agreement have been profound—and profoundly negative for the stability of the Middle East, as well as for American interests there. From the start, the accord concluded between Iran and the P5+1 was intended to be tactical in nature, focusing on just one aspect of the Iranian regime’s rogue behavior: its persistent nuclear ambitions. However, the benefits that have been conferred to Iran as a result have been both extensive and strategic in nature. Most directly, as a core condition of the JCPOA, the United States and its partners in the P5+1 agreed to release to Iran some $100 billion or more in previously escrowed oil revenue. For Iran, this represents an enormous windfall, amounting to roughly a quarter of its annual GDP, which totaled $415 billion in 2014.1 By way of comparison, that sum nearly rivals the entirety of the European Recovery Program (colloquially known as the Marshall Plan) launched by the Truman administration in 1948 in the aftermath of World War II—an initiative that disbursed more than $13 billion (roughly $130 billion in today’s dollars) to seventeen countries in Europe over the span of four years. As of “Implementation Day” (January 16, 2016), the Islamic Republic has complete, unencumbered access to these funds. Nor has the agreement yielded a fundamental change in Iran’s political outlook. Contrary to the fervent wishes of the Obama administration, the JCPOA did not foster a kinder, gentler polity within the Islamic Republic. While the Obama White House lobbied heavily in favor of the agreement based on the argument that it would help empower moderate forces within Iran,6 nothing of the sort has happened. Instead, last summer’s elections for Iran’s parliament, or majles, saw a resounding reaffirmation of the conservative status quo in Iranian politics.7 So the situation has remained, notwithstanding the electoral victory of incumbent President Hassan Rouhani in last week’s presidential run-off. Perhaps the most pernicious effect of the JCPOA has been to set in motion a fundamental unraveling of the global sanctions regime against Iran. The Obama administration’s efforts in support of the agreement—including attempts to encourage greater international commerce with Iran and the assumption of a direct investment role in Iran’s nuclear program23—helped to compromise the integrity of the sanctions architecture that had been painstakingly erected against the Islamic Republic over the preceding decade-and-a-half. A key future priority of the U.S. government, therefore, must be to restore the economic leverage that Washington once wielded over Tehran. Perhaps the most promising step that can be taken in this regard is a comprehensive blacklisting of Iran’s clerical army, the Islamic Revolutionary Guard Corps (Sepāh-e Pāsdārān-e Enqelāb-e Eslāmi, IRGC). That idea, floated in the early days of the Trump administration, deserves a serious second look by both the White House and Congress. This is because the IRGC is an economic powerhouse, in control of a sprawling empire of companies and corporate entities within the Islamic Republic. All told, the IRGC is believed to command as much as one-third of the country’s total economy.26 As a result, a comprehensive designation would have a profound impact, rendering large swathes of the Iranian economy (such as its construction and telecom sectors) radioactive as a matter of trade policy, and thereby helping prevent a further normalization of international trade with Iran. Of equal significance, a ban would send a major warning to international firms and foreign nations now beginning to dip their toes back into the Iranian market that, if they continue to do so, they are in danger of running afoul of U.S. counterterrorism laws, with potentially disastrous monetary and political consequences. While the abrogation of the JCPOA emerged as a major campaign issue during the 2016 election, it is increasingly clear that the Trump administration will continue to abide by the terms of the agreement, at least for the foreseeable future. There are practical reasons for this; the multilateral nature of the JCPOA means that a U.S. withdrawal from its terms would not automatically trigger its collapse, and a meaningful rollback of the deal may not be possible without provoking major trade disputes with counties such as China and France—something which the Trump administration, despite its commitment to a more coercive Iran policy, is nonetheless eager to avoid. As a result, the new Administration is likely to remain within the confines of the JCPOA in the near term, even while it attempts to significantly adapt and strengthen its provisions and penalties. There is a great deal that must be done in this regard. During its time in office, the Obama administration proved loathe to hold the Iranian regime accountable for substantive breaches of the accord itself, or for related activities (such as ballistic missile testing) that violated its spirit. The Trump administration must take a more active role in tracking Iran’s compliance with the terms of the JCPOA, including by ensuring the hiring and deployment of additional inspectors to Iran’s nuclear facilities, and by demanding access from Iran to additional nuclear facilities not currently being monitored under the terms of the deal. The White House should also consider constructing an explicit menu of what constitutes a “material breach” of the JCPOA (and which enumerates the concrete penalties associated with such violations) as a way of eliminating ambiguities and political disputes that prompted the Obama administration to turn a blind eye to Iranian infractions in the past. More than a year after “implementation,” there is no shortage of evidence that the benefits of the JCPOA have enabled a significant strategic expansion on the part of the Iranian regime, with concrete negative effects for regional security. For Washington, reinforcing stability in the Middle East will hinge on constraining Iran’s advances, and implementing policies that can serve to deter or counterbalance future Iranian adventurism. A blacklisting of the IRGC could provide benefits in this arena as well. U.S. forces have labored for years under restrictive “rules of engagement” in the Iraqi theater due to worries that battlefield contact with Iranian paramilitary elements could result in an uncontrolled escalation of hostilities between Washington and Tehran. This has hampered the effectiveness of U.S. counterinsurgency and stability operations, and continues to exert a profound effect on the freedom of action that field commanders believe they possess today. In turn, U.S. military officials have been outspoken about the destabilizing role being played by Iran in the region and about the need to push back forcefully against it.28 A blacklisting of the IRGC would begin that process by providing U.S. commanders with greater authority to counter Iranian destabilizing behavior on the ground throughout their area of responsibility. An important priority for the Trump administration, therefore, must be to reestablish the credibility of the United States in the minds of the Iranian people. This requires that the White House articulate, and then demonstrate, that it is not content with the current political status quo within the Islamic Republic. High-profile political steps, such as a comprehensive blacklisting of the IRGC, could send a potent message to Iranian and international audiences alike that the United States is no longer prepared to pursue “business as usual” with Iran’s ayatollahs. So could official messaging that focuses more intently on highlighting endemic corruption within the Iranian regime, the country’s repressive domestic practices, the Iranian regime’s failure to provide broad-based prosperity (despite the material benefits of the JCPOA), and the plight of individual political prisoners within the Islamic Republic. The goal of such messaging should be strategic: to diminish the credibility and authority of Iran’s clerical regime, and to increase that of the United States. 1 “Iran GDP: 1965-2017,” Trading Economics, n.d., http://www.tradingeconomics.com/iran/gdp. 2 “Iranian Banks Reconnected to SWIFT Network after Four-Year Hiatus,” Reuters, February 17, 2016, http://www.reuters.com/article/us-iran-banks-swift-idUSKCN0VQ1FD. 3 See, for example, International Monetary Fund, “Iran: Concluding Statement of an IMF Staff Visit,” October 3, 2016, http://www.imf.org/en/News/Articles/2016/10/03/MS100316-Iran-Concluding-Statement-of-an-IMF-Staff-Visit. 4 Nancy Gallagher, Ebrahim Mohseni and Clay Ramsay, “Iranian Attitudes on Iranian-U.S. Relations in the Trump Era,” Center for International & Security Studies at Maryland CISSM Report, January 2017, http://www.cissm.umd.edu/publications/iranian-attitudes-iranian-us-relations-trump-era. 5 See Ilan Berman, “The JCPOA Helps Iran’s Elites and Hurts Rouhani,” Foreign Affairs, March 29, 2017, https://www.foreignaffairs.com/articles/iran/2017-03-29/jcpoa-helps-irans-elites-and-hurts-rouhani?cid=int-lea&pgtype=hpg. 6 “Transcript: President Obama’s Full NPR Interview On Iran Nuclear Deal,” NPR, April 7, 2015, http://www.npr.org/2015/04/07/397933577/transcript-president-obamas-full-npr-interview-on-iran-nuclear-deal. 7 Shashank Bengali and Ramin Mostaghim, “Did Iran’s Reformists Celebrate too Soon? Hard-liners Rebound After Election,” Los Angeles Times, June 1, 2016, http://www.latimes.com/world/la-fg-iran-hardliners-20160601-snap-story.html. 8 Abbas Qaidaari, “More Planes, More Missiles, More Warships: Iran Increases its military budget by a third,” Al-Monitor, July 13, 2015, http://www.al-monitor.com/pulse/originals/2015/07/khamenei-orders-increase-military.html. 9 See, for example, Adam Kredo, “Report: Iran Ramping Up Military Purchases from Russia, China,” Washington Free Beacon, October 13, 2015, http://freebeacon.com/national-security/report-iran-ramping-up-military-purchases-from-russia-china/. 10 “Iran Is Building a Non-nuclear Threat Faster than Experts Would have Imagined,” Business Insider, March 27, 2013, http://www.businessinsider.com/irans-cyber-army-2015-3. 11 Small Media, “Iranian Internet Infrastructure and Policy Report, The Rouhani Review (2013-15),” February 2015, https://smallmedia.org.uk/sites/default/files/u8/IIIP_Feb15.pdf. 13 See, for example, Ahmad Majidyar, “Iran Recruits and Trains Large Numbers of Afghan and Pakistani Shiites,” Middle East Institute, January 18, 2017, http://www.mei.edu/content/article/io/iran-s-recruitment-afghan-pakistani-shiites-further-destabilizes-south-asia. 14 Robert F. Worth, and C. J. Chivers, “Seized Arms Off Yemen Raise Alarm Over Iran,” New York Times, March 2, 2013, http://www.nytimes.com/2013/03/03/world/middleeast/seized-arms-off-yemen-raise-alarm-over-iran.html; Hakim Almasmari, “Houthi Official Denies Receiving Arms from Iran,” The National, March 16, 2012, http://www.thenational.ae/news/world/middle-east/houthi-official-denies-receiving-arms-from-iran. 15 Joseph Felter and Brian Fishman, “Iranian Strategy in Iraq: Politics and ‘Other Means,’” Combatting Center at West Point Occasional Paper, October 13, 2008, http://reap2-ws1.stanford.edu/publications/iranian_strategy_in_iraq_politics_and_other_means/. 16 Arash Karami, “Iran Interior Minister Says Advisers Sent to Iraqi Kurdistan,” Al-Monitor, August 26, 2014, http://www.al-monitor.com/pulse/originals/2014/08/iran-sends-advisers-kurdistan-region-iraq.html#ixzz3CTppCln9. 17 Babak Dehghanpisheh, “Iran’s Elite Guards Fighting in Iraq to Push Back Islamic State,” Reuters, August 3, 2014, http://www.reuters.com/article/2014/08/03/us-iraq-security-iran-insight-idUSKBN0G30GE20140803. 18 Mustafa Saadoun, “PMU Seeks to Secure Iraq-Syria Border,” Al-Monitor, December 20, 2016, http://www.al-monitor.com/pulse/originals/2016/12/iraq-syria-pmu-iran-isis.html. 19 Carla Humud, Christopher Blanchard, Jeremy Sharp and Jim Zanotti, “Iranian Assistance to Groups in Yemen, Iraq, Syria, and the Palestinian Territories,” Congressional Research Service Memorandum, July 31, 2015, http://www.kirk.senate.gov/images/PDF/Iran%20Financial%20Support%20to%20Terrorists%20and%20Militants.pdf. 20 See, for example, “Iran Extends Its Hand to Alkassam Brigades,” Al Modon, May 4, 2017, http://www.almodon.com/arabworld/2017/5/4/%D9%85%D8%B5%D8%A7%D8%AF%D8%B1-%D8%A7%D9%84%D9%82%D8%B3%D8%A7%D9%85-%D8%AA%D9%84%D9%82%D8%AA-%D9%A2%D9%A7-%D9%85%D9%84%D9%8A%D-9%88%D9%86-%D8%AF%D9%88%D9%84%D8%A7%D8%B1-%D9%85%D9%86-%D8%A5%D9%8A%D8%B1%D8%A7%D9%86. 21 See, for example, Walter Wolowedsk, “The Decline of the Secret Superpower in the Middle East,” Die Welt (Berlin), April 28, 2017, https://www.welt.de/politik/ausland/article163910675/Der-Niedergang-der-geheimen-Grossmacht-im-Nahen-Osten.html. 22 General Joseph L. Votel, Statement for the Record Before the House Armed Services Committee, March 15, 2017, http://docs.house.gov/meetings/AS/AS00/20170329/105692/HHRG-115-AS00-Wstate-VotelJ-20170329.pdf. 23 See, for example, Michele Kelemen, “John Kerry’s Awkward Push For Investment In Iran,” NPR, May 25, 2016, http://www.npr.org/sections/parallels/2016/05/25/479462791/john-kerrys-awkward-push-for-investment-in-iran; See also Jay Solomon, “U.S. To Buy Material Used In Iran Nuclear Program,” Wall Street Journal, April 22, 2016, https://www.wsj.com/articles/u-s-to-buy-material-used-in-iran-nuclear-program-1461319381. 24 Gillian Tett, “Banks Cannot Invest in Iran Without US Guarantees,” Financial Times, August 26, 2016, https://www.ft.com/content/f7dfa16e-69f3-11e6-ae5b-a7cc5dd5a28c. 25 U.S. Department of the Treasury, “Treasury Sanctions Iranian Defense Officials and a China-based Network for Supporting Iran’s Ballistic Missile Program,” May 17, 2017, https://www.treasury.gov/press-center/press-releases/Pages/sm0088.aspx. 26 See, for example, Mark Gregory, “Expanding Business Empire of Iran’s Revolutionary Guards,” BBC, July 26, 2010, http://www.bbc.com/news/world-middle-east-10743580. 27 Josh Rogin, “Trump to Unveil Plans for an ‘Arab NATO’ in Saudi Arabia,” Washington Post, May 17, 2017, https://www.washingtonpost.com/news/josh-rogin/wp/2017/05/17/trump-to-unveil-plans-for-an-arab-nato-in-saudi-arabia/?utm_term=.90afe1cea21a. 28 See, for example, Jeff Daniels, “General Calls Iran ‘Destabilizing’ Force, Suggests US ‘Disrupt’ Regime by Military Means,” CNBC, March 29, 2017, http://www.cnbc.com/2017/03/29/general-calls-iran-destabilizing-force-suggests-us-disrupt-regime-by-military-means.html. What benefits does Gazprom currently provide the Russian State? According Ilya Zaslavskiy, it’s one of the Kremlin’s main cash generators and international political tools. In the latter case, the gas giant “subsidizes Russia’s wars in Ukraine and Syria, as well as the Kremlin’s well-funded effort to undermine European unity through propaganda and support for anti-European parties.” Here’s a portrait of the ‘pipeline games’ being played by Moscow. This article was originally published by the Atlantic Council on 24 May 2017. Gazprom is a monopoly gas company controlled by the Russian state. While the company presents itself as motivated solely by commercial logic and economic interest, it has a consistent track record of acting as an arm of the Kremlin’s foreign and economic policy. This paper provides an assessment of the choices facing the European Commission in regard to both Gazprom and Russia, as well as some background for the business community. In particular, the paper provides policy recommendations for US policy makers as the European Union (EU) negotiates on Gazprom’s latest pipeline project, Nord Stream 2, a proposed new export gas pipeline that would run from Russia to Western Europe below the Baltic Sea. Nord Stream 2 is slated to have the same throughput capacity as an existing pipeline, Nord Stream 1. The conclusion is that Nord Stream 2 is a politically motivated project that presents a major challenge to European law and EU principles, and jeopardizes the security interests of the United States and its EU allies. The Russian gas industry’s relationship with Europe has always been determined by the Kremlin. After the collapse of the Soviet Union in 1991, Boris Yeltsin partially privatized the Soviet Gas Ministry and renamed it Gazprom. The state always maintained majority control, however, and though there were efforts in the early days to make Gazprom behave as a private company, in practice, it evolved into a hybrid institution that brought foreign currency into the state budget, provided a slush fund for insiders, and could be deployed as a foreign policy tool in relations with the West and the former Soviet republics. In the early 1990s, when gas prices were low and Russian relations with the West were warm, Russia restricted the political use of Gazprom to its immediate neighbors in the former Soviet space. That changed in the 2000s, with the accession of Vladimir Putin to the presidency. This period coincided with the beginning of an unprecedented rise in commodity prices, including gas. Putin, who had grander ambitions than his predecessor, quickly seized the opportunity to use Gazprom to further his political goals—most importantly by having Gazprom continue to link the price of gas to that of oil through long term contracts (LTCs). LTCs crucially included “destination clauses” that prohibited buyers from selling gas purchased from Gazprom to third parties, which ensured that Gazprom continued its bilateral trade with each European country separately, and allowed it to implement rigid take-or-pay clauses for piped gas, as opposed to more flexible contracts based on spot pricing and reduced intake obligations. Many countries that were heavily dependent on Gazprom’s gas were thus given a de facto choice: compromise with Russia on sensitive political and economic issues and receive favorable LTCs, or defy the Kremlin and pay high gas prices for years to come. In 2009, the European Union, responding to Russian and North African attempts to dominate its internal gas markets, implemented the Third Energy Package. This legislative package, which came into force in September 2009, seeks to open more broadly the gas and electricity markets in the EU, while enforcing ownership separation or unbundling. In 2010–14, after demand for gas fell in Europe, competition from Norwegian producers, liquefied natural gas (LNG) suppliers, and spot traders increased, and customers started to challenge Gazprom’s pricing system and investment plans in arbitration courts. In the same period, Gazprom reluctantly agreed to include some limited spot pricing in its contracts. In 2011, its anti-competitive practices were exposed by a large EU Commission antitrust investigation, which revealed illegal practices in eight Eastern European countries where Gazprom continues to be a dominant or major supplier. Former Russian President Dmitry Medvedev speaks during a ceremony marking the start of construction of the Nord Stream pipeline, near the Russian town of Vyborg April 9, 2010. Photo credit: Reuters/Alexander Demianchuk. After many years of negotiations, the agreement to begin construction of Nord Stream 1 (then called the North European Gas Pipeline) was signed in 2005 by Gazprom, BASF, and E.ON. While Gazprom’s likely motive was to bypass Ukraine—so as to reduce the political and economic power Ukraine derives from being the main transit country—Russian negotiators insisted that Gazprom strictly applied commercial logic against transit risks and offered additional (supposedly non-political) justifications for the Nord Stream and South Stream projects, such as “meeting Europe’s soaring gas demand,” bringing new Russian gas from the Shtokman and Yamal gas fields, and facilitating Central Asian gas exports to Europe. Nonetheless, the Kremlin’s motivation for the construction of Nord Stream 1 was always political. Russia and Ukraine have long been involved in disputes over gas transit via Ukraine’s state-owned oil and gas company Naftogaz. From Moscow’s point of view, bypassing Ukraine’s transit system would allow Gazprom to control exports to the European market without negotiating for transit fees with Ukraine. Unlike other post-Soviet countries, successive governments in Kyiv tried to dictate transit terms for Gazprom’s gas, asking for political concessions from the Kremlin, and playing Europe against Russia on sensitive issues, using gas as leverage. Gazprom had to make payments to Ukraine as the price of transit, roughly one to two billion dollars per year. The Kremlin, and Putin personally, objected to having to make these payments, both because it was costing Russia and because this money, in effect, helped fund the Ukrainian budget and thus supported the existence of a politically independent Ukraine. In order to reduce these payments, the Kremlin sought to subvert the Ukrainian elite through various forms of corruption in the gas trade, allowing insiders from both sides to extract enormous rents. Ukrainian oligarchs nevertheless understood that renunciation of national control over the gas transit system would deprive them of future revenue, killing the goose that lays the golden egg. While vested interests in each successive government in Kyiv engaged in various forms of corruption in the gas trade, none of them allowed Gazprom ownership or control of the Ukrainian gas transit system. In 2007, the Ukrainian parliament passed legislation that prohibited privatization or leasing of any element of the gas transit system—legislation that would be difficult to change. Officially, as noted above, Nord Stream 1 was driven chiefly by the need to create greater and more secure supplies of European gas, especially when Gazprom was still considering development of the Shtokman offshore field and the Bovanenkovo field in Yamal, which the monopoly presented as brand new sources of gas to satisfy rising EU gas consumption. In practice, Nord Stream 1 has been lucrative for Gazprom’s partners in the project but disastrous for Russian taxpayers and the state budget. The cost of transporting gas through Nord Stream 1 proved to be identical to or higher than the cost of transit via Ukraine. Furthermore, estimates show that the pipeline cannot adequately meet Europe’s peak demand due to base load arrangements and Putin’s documented manipulation of the supply. The pipeline has offered no cost savings, and the gas transported through Nord Stream 1 is simply being diverted from pipelines that go through Ukraine. Additionally, the promise of increased transit for Central Asian gas via Ukraine after the launch of Nord Stream 1 has also not been fulfilled. In 2009, at the start of the financial crisis and after a highly controversial incident involving an explosion on an import pipeline (believed to be staged by Russia), Gazprom defaulted on its binding agreement to import 40 billion cubic meters per year (bcm/y) of gas from Turkmenistan and has since kept the intake of Central Asian gas at a low level. Nord Stream 1 is still far from profitable; volumes are uncertain for the next ten to fifteen years. Gazprom has guaranteed to return the €12 billion investment to its European partners, even if the pipeline stops working—a promise that, if fulfilled, will hurt the Russian taxpayer even further. Even if Nord Stream 1 were to pay back its construction loans by the mid-2020s, this would not bring any more revenue to Gazprom or the Russian budget, because the same volume of gas is being transported to the same customers under the same contract only through more expensive export routes. In the last ten years, apart from Nord Stream 2, Russia has sought out other projects designed to bypass Ukraine’s transit pipelines. These include South Stream, cancelled in 2014, and Turkstream, proposed to run from the southern Russian Krasnodar Region across the Black Sea to Turkey. Gazprom’s argument that Turkstream would serve rising gas demand in Southeastern Europe is rather weak, however. Even under optimistic scenarios, the main commercial prizes for Turkstream in the early 2020s would be Italian and Turkish markets, and possibly (through more pipelines) Northwestern Europe, not Southeastern Europe. Once again, the political reasons for the investment are far more important. In April 2015, Gazprom’s Chief Executive Officer Aleksey Miller made a milestone announcement about Russia’s intention not to renew a transit contract with Ukraine in 2019, and thereafter to stop all gas deliveries to Europe through that country. Miller suggested that by 2019, European customers would be able to find ways to pick up Russian gas from Turkstream at the future gas hub on the Greek-Turkish border. Since then, the Russian government has issued conflicting statements, regarding their intention to stop all transit through Ukraine over the next two years. In any case, both Turkstream and Nord Stream 2 are part of the same plan to bypass Ukraine and possibly shut it out from Gazprom exports completely by 2019 or soon thereafter. An additional motive behind Turkstream is to weaken the political and commercial influence of the EU-/US-led Southern Gas Corridor that aims to bring Azerbaijani gas to Europe via Turkey as an alternative to Gazprom’s gas. Turkstream may also serve to repair Russian-Turkish relations, which were damaged after the Turkish military brought down a Russian jet flying over its airspace. Following a new intergovernmental agreement signed in August 2016, Turkey approved all necessary construction and environmental permits for the development of the first 15.75 bcm/y line of the pipeline in early 2017. In its advocacy of Nord Stream 2, Gazprom has sought from the beginning to portray the project as essentially identical to Nord Stream 1. But the political and economic context is very different in these two cases. At the time of the Nord Stream 1 approval in 2005, when the pipeline received most of its EU and national permits, the EU Third Energy Package had not yet been fully enacted. More importantly, Russia had not yet invaded Eastern Ukraine or annexed Crimea, and therefore did not have to address Western economic sanctions, which have limited Gazprom’s ability to raise long-term loans and access upstream technology to develop offshore and shale deposits. This new context gave rise to new obstacles. The first is legal: if the project goes forward, Gazprom will be the sole supplier, as well as the dominant owner and operator, of the existing Nord Stream 1 and future Nord Stream 2 pipelines. This infringes on the core tenets of the Third Energy Package and other existing EU laws that require unbundling, tariff regulation, and third party access rules, and which protect the security of energy supply and commercial viability of existing projects involving EU member states. Gazprom is suggesting that these gas regulations are not applicable to Nord Stream 2, on the grounds that they were not applicable to Nord Stream 1. The EU, however, has subjected the Polish end of the Yamal-Europe pipeline to a full Third Energy Package certification, so it is hard to see why an exception should be made for Nord Stream 2. At the end of March 2017, the EU Commission, after bitter disputes with German regulators and divisions within its own legal team, said it will seek a mandate from EU member states to negotiate with Russia on a special legal regime for Nord Stream 2; however, whether it receives such a mandate depends on approval from two-thirds of the twenty-eight bloc members and could delay the project’s start beyond 2019. The second complication for Nord Stream 2 is political. Along with Ukraine, the pipeline will bypass several other countries with functioning pipelines. In March 2016, eight EU governments from Central and Eastern Europe signed a letter to the European Commission objecting to the Nord Stream 2 project, arguing that the project violates the competitive principles of the EU and could have “potentially destabilizing geopolitical consequences.” This letter, like other statements from opponents of Nord Stream 2 within national governments and among EU commissioners, argues that the project violates the spirit and aims of the emerging Energy Union. Recent studies show that the overall welfare effect of Nord Stream 2 would be negative for the EU. Though Gazprom’s European energy partners and Transmission System Operators (TSOs) in Germany would gain profits, their counterparts in Central and Eastern Europe, Southeastern Europe, and Ukraine would lose. In addition, Nord Stream 2 would create throughput congestion in existing pipelines from Germany to Eastern Europe and significantly increase the risk that the project could be used to separate markets and exercise market power in Central and Eastern Europe, Southeastern Europe, and Italy, as well as cut supplies to Ukraine. Such outcomes would be particularly troubling for the United States, EU, and their allies as it would enable Russia to once again exert pressure on gas pricing in Central Europe, without the old tool of destination clauses. This would allow the Kremlin to coerce Kyiv (once again) to beg for favorable rates for gas supplied from Russia, a scenario inevitably entailing political concessions from Ukraine. There is, however, a more straightforward argument for opposing the pipeline: Gazprom is one of the Kremlin’s main cash generators and international political tools. The company subsidizes Russia’s wars in Ukraine and Syria, as well as the Kremlin’s well-funded effort to undermine European unity through propaganda and support for anti-European parties. It is, indeed, for this reason that EU and US sanctions against Russia include restrictions on Gazprom and its subsidiaries. By giving the green light to Nord Stream 2, the EU will be endorsing a schizophrenic policy, in effect helping to empower a country whose policies are designed to undermine the EU. German Chancellor Angela Merkel is under pressure from the German industrial lobby, which wants lucrative deals with Gazprom, guaranteed long-term gas supplies, and an exclusive role as the new mega-hub for gas trade in the heart of Europe. So far, however, Merkel has been openly suspicious of Putin’s intentions in Ukraine and Europe, and has stood ambivalent to the project and firmly by the EU sanctions against Russia, even threatening to increase them over deteriorating situations in Syria and Ukraine. Putin’s response to Merkel’s lukewarm position on Nord Stream 2, as well as her critical views on his regime, appears to have taken political form. There is a wide range of evidence suggesting that the Kremlin has been campaigning both directly and indirectly against her government, in part by trying to create anxiety about refugees and immigration. In France, Russian intermediaries are openly funding Marine Le Pen, the leader of the National Front, who has vowed to leave both the EU and NATO, and to join forces with Russia. Another project that would extend Nord Stream 1 to the United Kingdom (UK) has apparently been shelved by Gazprom due to low gas prices. However, Gazprom’s leadership may simply be waiting to see if the Brexit process and Donald Trump’s presidency strengthen its hand and allow the project to move forward. The UK and United States have been key advocates of sanctions against Russia and skeptics of both Gazprom and Nord Stream 2. But with Brexit and the potential of a more domestically focused US policy, Russia’s allies in Europe may have an opportunity to sway Brussels, which has so far been opposed to the pipeline project. To that end, Gazprom has undertaken an effort to secure prominent European customers and improve its image in Europe. In the United Kingdom, for example, the National Health Service, Oxford University, and other organizations have contracts with Gazprom. Gazprom has long justified its push to construct Nord Stream 1 and 2, South Stream, and Turkstream on the grounds that there is a significant long-term demand in Europe for Russian gas. However, this claim is not supported by evidence. With the rise of renewables, greater energy efficiency, and the emergence of unconventional gas (such as shale gas), Gazprom’s arguments become even less rational. The company itself mocks renewables, famously putting a frozen windmill on the cover of its corporate magazine. Gazprom officials periodically sneer at Europe’s pursuit of renewables and energy efficiency as uneconomical and politicized. Gazprom also failed to foresee the long-term impact of LNG imports into Europe, including into its own traditional markets. In 2014, completion of the first LNG terminal in Klaipeda, Lithuania effectively ended Gazprom’s monopoly hold over its market there. Norwegian Statoil is now competing with Gazprom to be the main supplier in the country, and the price level for imported gas is now much more acceptable. In the long term, Poland, which opened its own LNG terminal at Świnoujście a year ago, is on the same trajectory. Gazprom additionally failed to predict the rise in exports—not only from traditional LNG suppliers such as Qatar and Norway—but also from the United States, where prices have dropped due to shale gas production. Gazprom’s anti-commercial mentality has also blinded the company to the long-term potential of shale gas in Europe. Instead of adapting to the circumstances, the company has sought to use political means to undermine the shale gas industry. Over the past two years, Russia has been frequently suspected of organizing protest groups and lobbying against shale gas development in Romania, Bulgaria, Ukraine, and other European countries. The real reason for Gazprom’s reluctance to accept the realities of energy efficiency, renewables, shale gas, and LNG is that the company is ultimately accountable not to a commercial board but to its political masters in the Kremlin. Indeed, Gazprom lacks the managerial capacity and flexibility to make market-oriented responses to new developments. Instead, the company prefers to rely on things that it knows best: oil-linked LTCs, bilateral negotiations in European capitals, and subversive operations. After Gazprom announced its plan to end transit through Ukraine by 2019, several countries in Southeastern Europe responded with proposals to connect themselves and their neighbors to the new Turkstream delivery points in Greece and elsewhere. But these proposals are being driven by governments and national companies, not private investors. The interested parties hope to receive partial or full financing from the EU or Russia, as there is very little capital in the region for infrastructure projects. Several countries are promoting themselves as candidates for gas hubs and are in competition with one another and with Turkey. These countries—mainly Bulgaria and Greece, but also Albania and Croatia—seek to achieve hub status not only through their own (future) diversified pipelines and virtual trading platforms, but also with storage facilities and LNG terminals, where sea access is available. The warming up of Russo-Turkish relations in 2016 renewed Bulgaria’s hope that Gazprom will help finance a national gas hub in the Black Sea port of Varna, an idea that was put on hold when the South Stream pipeline was cancelled in 2014. The construction of vital pipelines and interconnectors is a priority for most Southeastern European countries, but the question of who will fund them remains unanswered. Bulgaria, Hungary, Slovakia, and Greece all have strong pro-Russia factions that have, in the past, torpedoed EU-led gas projects, some of which were aimed at reducing local vulnerability to Gazprom blackmail. Both Brussels and Washington have fought back, either through legal means or political pressure, and all four countries have withdrawn support for key Kremlin gas and political initiatives in the past three years. In countries with tenuous political cohesion and serious economic problems, the competition between Russia and the EU and/or the United States has spilled into politics. Last year, the Center for Strategic and International Studies published a report on Russia’s subversive activities in Eastern Europe, including a detailed account of Gazprom’s meddling in Hungarian and Bulgarian politics and economy. Responses to Gazprom’s operations by local governments have been inconsistent. Lastly, even though Turkstream was approved for construction, it is possible that future sanctions would seriously impede Russia’s ability to finance the project. A general view shows the pipe storage area of French pipe coating company EUPEC in Sassnitz, Germany, May 6, 2011. Photo credit: Reuters/Tobias Schwarz. All indicators suggest that Russia’s pipeline policy is dictated entirely by opportunistic concerns. The Kremlin seems keen to take a few more years to engage with Southeastern European countries to see how the political situation there develops, but without jeopardizing old alliances. Public comments from Gazprom and its associates support the hypothesis that Putin is biding his time while looking to sow confusion and provoke anxiety. On the one hand, a former Gazprom consultant told the company’s official magazine that all European governments are run by the CIA, and that only Italy, Austria, Hungary, and Greece have the strength to resist the Americans in the upcoming regional confrontation in Europe between Russia and the United States. Another group of Russian ex-officials issued a consultancy outlook with aggressive wording about a future Russian victory over an “inconsistent European regulatory system” full of “absurd controversies,” and called for a halt to transit via Ukraine by 2020. In short, Gazprom and its Russian supporters are deliberately incoherent on how the monopoly can fulfill its obligations under LTCs without transit through Ukraine. Nevertheless, Gazprom keeps its rhetoric upbeat on the 2019 deadline and the many options available to bypass Ukraine’s gas transit system. Russian media boast that Gazprom is circumventing Western sanctions by buying expensive pipe-laying vessels to build Nord Stream 2 and offshore projects under sanctions in the Far East. It seems that, on the contractual level, Gazprom will seek to honor its obligations unless the Kremlin orders otherwise. However, in its public statements (or statements from its supporters), Gazprom will continue its abrasive and defiant propaganda. Cooperation with Putin’s Gazprom should not be regarded as just another “trade decision” or form of “business as usual.” Large mineral extraction corporations and infrastructure companies have argued since Soviet times that bilateral trade with corrupt and authoritarian states will reform their political character and bring them closer to liberal market economies. The reality, however, is that oil and gas revenues allow dictatorships and kleptocracies to establish a stronger grip on power by deploying improved surveillance techniques, purchasing military and police equipment, and engaging in regional wars and domestic oppression. Both in the Cold War era and today, the Europe-Russia oil and gas trade has undermined both liberal capitalism and democracy. Gazprom is a monopoly gas company controlled by the Russian state. Therefore, it should not be treated as a regular commercial enterprise. The avoidance of politically charged projects like Nord Stream 2 and demonopolization of the gas trade between Russia and Europe should become overarching objectives of the EU in all relevant policy fields. Support the dissemination of information on Gazprom’s structure, strategy, and politically motivated actions against other countries in the policy-making community by holding open hearings and briefings. Task the US Department of Energy (DOE) with preparing and publicizing a forecast analysis for US LNG exports to Europe, assessing LNG’s ability to uphold competitive practices and satisfy longterm gas demand in Europe, while at the same time pointing out the limitations of US LNG trade in the European market. The DOE should work with the European Commission on the outlook of global gas demand and on sharing best business practices in the energy sector, which can be useful to the evolving Energy Union.Task US intelligence and law enforcement bodies to prepare a briefing for their EU partners on the current status of the Kremlin’s intelligence and organized crime operations in the energy sector in Europe and worldwide.Urge the European Commission and Parliament to sponsor an independent inquiry, by industry experts not associated with Gazprom or the Kremlin, into the funding of Nord Stream 1, Nord Stream 2, and the accompanying infrastructure in Russia and the host countries. The US Department of State and Department of Energy should assist as facilitators and expert contributors to this assessment. Task the Directorate-General on Energy (ENER), International Cooperation and Development (DEVCO), and Trade (TRADE), together with The European Political Strategy Centre (EPSC)— the European Commission’s in-house think tank—with producing a comprehensive analysis of the history of European cooperation with authoritarian hydrocarbon states and the extent to which such cooperation has made these states more democratic. This study should also include an analysis of Gazprom’s compliance with the EU Third Energy Package and other competition regulations.Task Europol, together with relevant agencies of the EU Commission and national security agencies of EU member states, to conduct a study analyzing Gazprom’s use of Russian security agents in Europe, and the company’s connections to organized crime figures both within and outside Russia.Task the EPSC, along with other relevant think tanks and EU Commission research centers, to engage more proactively in conversation about the political and economic principles of the emerging Energy Union, and how to redefine the concept of EU energy security in light of Russia’s aggression against Ukraine in 2014. The EPSC, together with other relevant agencies, should publish a paper summarizing all legal and regulatory debates concerning Gazprom’s ambitions to build and access pipelines in Europe in a way understandable to the general public and media.Task the Disinformation Review (published by the European External Action Service) along with the Directorate-General for Energy to run a brandnew, separate analytical section countering energy propaganda coming out of Russia, as it creates a distorted view of the EU’s policies and outlook on renewables, shale, and other conventional and unconventional energy. If Gazprom persists in isolating Ukraine from reverse gas flows from Europe, breaks its delivery or transit contracts with EU members in order to force its 2019 deadline on Ukraine, or if Russia and Gazprom expand their aggression against Ukraine in any other significant way, the US Congress ought to respond by increasing sanctions against Gazprom and its Russian associates and intermediaries in Europe. To that end, Congress should pass the Stability and Democracy (STAND) for Ukraine Act. The US State Department and Intelligence services should closely monitor all Gazprom’s plans to exclude Ukraine from commercially viable gas imports and share this information with EU allies.The US Department of State, the US Agency for International Development, and the National Endowment for Democracy, along with US representatives in the World Bank, should further enhance existing teams in Ukraine and develop a more comprehensive plan for the reform of Ukraine’s indigenous energy production to ensure more self-reliance and diversification away from Russia. In addition, contingency plans for decreasing volumes of Russian gas transit via Ukraine after 2019 should be prepared, focusing on measures that Ukraine and its EU neighbors can take even in worst-case scenarios. Relevant EU agencies should continue to implement the Deep and Comprehensive Free Trade Area (DCFTA) agreement with Ukraine and uphold standards for transparency and accountability in the energy market. As the EU Energy Union develops its principles and regulations further, the adjustment of DCFTA standards with Ukraine should be improved accordingly and without delays.The Directorate-General for Competition and Energy should prepare guiding principles on negotiations with Gazprom about Nord Stream 2 that would require Gazprom to be explicit about its position on the 2019 deadline ultimatum and demand that the company uphold all of its existing delivery and transit obligations with individual EU member states.